She went to check on baby Ryan, just two months old, but he was wasn’t stirring. Then Kerri noticed he wasn’t breathing. Panic struck … and then reality set in. Sweet little Ryan, the baby who had been a surprise, born while his father was serving in Afghanistan, was gone. Confused, heartbroken, Kerri held the son who had just died of SIDS. SIDS is defined as the sudden death of an infant under one year of age that remains medically unexplained, and it’s related to about 4,000 deaths per year in America. For the Grablewski family, it simply meant the devastating loss of a son they would never fully know. The next weeks and months were a blur for Kerri. Her husband rushed home from Afghanistan to hold—and say good-bye to—the son he hadn’t yet met. When he had to return to duty, Kerri would have to move on, caring for her two young children while expecting baby number four—who would be due on Ryan’s very birthday. “You’re feeling all these emotions—with SIDS you just put him down for a nap and he doesn’t wake up. So you’re trying to hold it together, but you’re not. It was a tough time,” said Kerri. The family did what they could to heal—even planting a tree in their yard in Ryan’s honor, where the kids put ceramic Disney statues, including Snow White and the Seven Dwarfs. 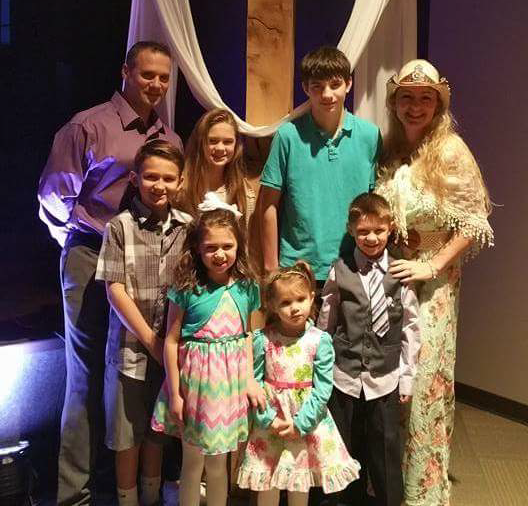 The comfort of her faith and family helped Kerri move forward. Now several years and several children later (they have seven total! ), they’re able to “live sparkly” again. The Grablewskis keep an angel statue with Ryan’s ashes on the mantle and the memory of Ryan in their hearts. Kerri also wears a Living Locket in Ryan’s honor, something she created after discovering Origami Owl and becoming a Designer. For more information on SIDS, please visit www.sids.org.